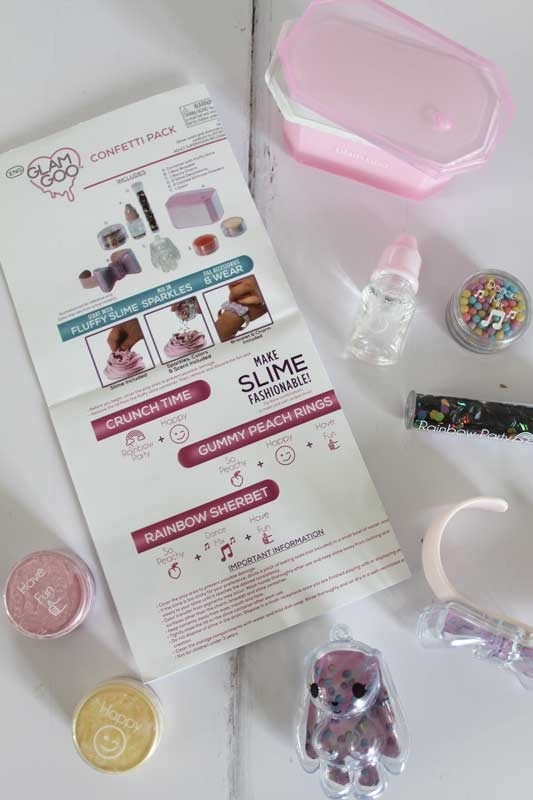 So, you can imagine the girls delight when we were sent the Glam Goo accessories pack to create their own slime filled bracelet and necklace. The goo is already mixed so just needs a little working together when you first receive it as it obviously has been sitting in a container. 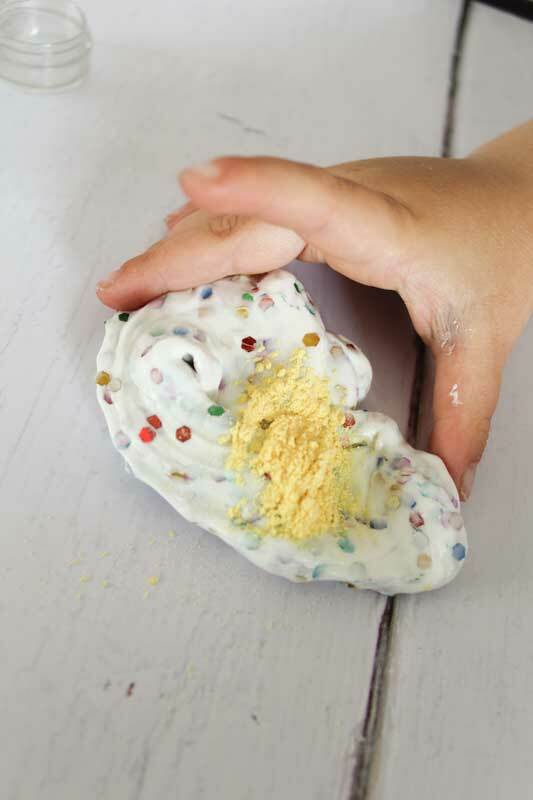 Like you would with any play doh or mix you just need to work it a little to get full mobility back. 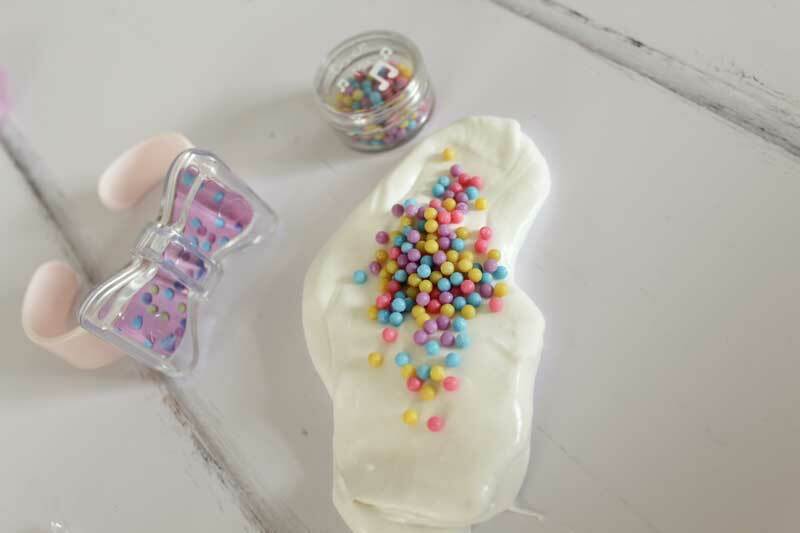 In the accessory pack is a teddy mould which creates a necklace, a bracelet container, peach scent, vial of glitter, tub of yellow colouring, tub of pink colouring and tub of mini confetti balls. All of which can be mixed in with the slime to create a custom piece. Amelia had to have everything in hers where Evie chose a simple ball and peach scent mix – the peach scent is really strong and you only need a drop or two so would last a long time! 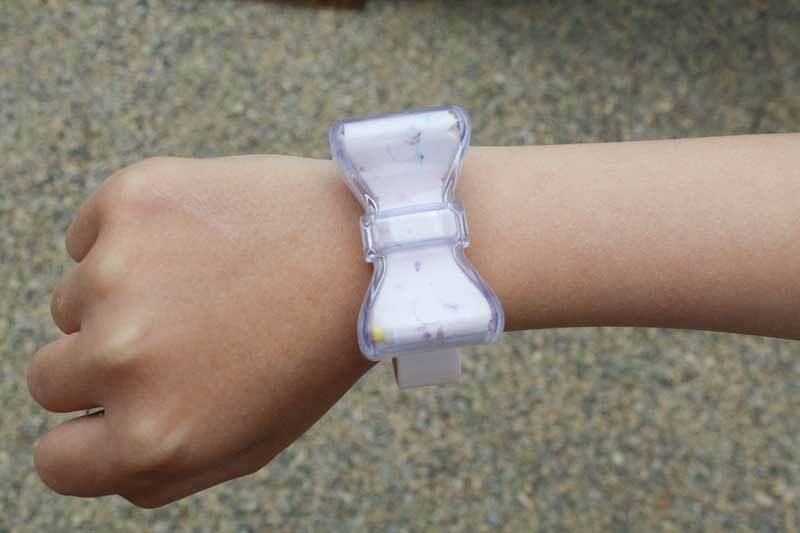 The scent stayed after being played with for days and is still really strong which makes a great change as scents aimed at children usually disappear after a day or so! 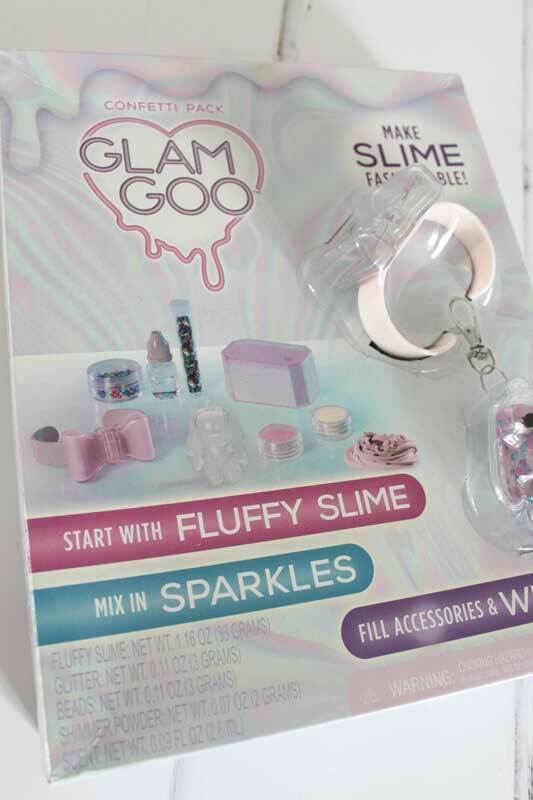 The girls love the fact that they can carry the Goo around with them and we found it easy to use, we love that the accessory packs can be used as stand alone products yet you can buy larger sets and combine everything for the biggest of slime fans! We were kindly sent the pack for the purpose of this review, all views and opinions are our own and genuine. Post contains an affiliate link.